One of the tragedies of American history has been the difficulty of transplanting democratic institutions. Why is it so difficult to transplant these institutions to countries like Vietnam, Iraq, Afghanistan? Didn’t these institutions take root in Germany and Japan after World War II? Since the time of Tocqueville, scholars have argued that democratic institutions rely on “civil society” — volunteer groups, neighborhood organizations, etc. Civil society is sometimes referred to as “social capital.” The Harvard political scientist Robert Putnam argued that social capital is eroding in the U.S.
Putnam noticed that Americans were bowling frequently, but not in bowling leagues, as they once did, they were bowling alone. Putnam wrote a much-discussed essay, “Bowling Alone: America’s Declining Social Capital” (1995). In 2000, he expanded his essay into a book, Bowling Alone: The Collapse and Revival of American Community. Putnam’s ideas struck a chord with many readers; he was invited to the White House to talk to President Clinton, and later he met with President Bush. Putnam even discussed civil society with the Libyan dictator Gaddafi. Putnam says that, in a diverse society, there’s less trust and cooperation — between groups, and also within groups. Putnam is a lucid and lively speaker; click here for an interview with Putnam. The recent shooting in Las Vegas has prompted many to ask, Why? It’s difficult to understand the shooter’s motive. Did he want fame? Did he want his own Wikipedia page? David Brooks suggested that we shouldn’t discuss him, shouldn’t mention his name, shouldn’t give him fame; Brooks said we should “anonymize” him. Perhaps one reason why mass murder has become common in the U.S. is that, as Robert Putnam argues, we’re isolated, we’re lonely. We bowl alone, we murder alone. Perhaps isolation creates a hunger for fame. Paddock spent much time in Las Vegas hotels. He was very smart, and made millions gambling. Perhaps, a few years ago, he looked out his hotel window, saw a crowd at a concert, and suddenly realized that this was the perfect opportunity for mass murder. Perhaps the impulse to kill himself came after the impulse to kill others. Paddock’s father was a career criminal who was once on the FBI’s Most Wanted list. If a boy gets his super-ego from his father, as I argued elsewhere, Paddock grew up without a super-ego, without a conscience. Paddock’s goal was to become rich, and he reached this goal as an owner/manager of apartment complexes, and later as a gambler. People are asking, Why did he do it? Why did he kill 59 people, and wound 546? Wikipedia says, “Paddock’s motive for the shooting is currently unknown.” Here we have one of the central questions of philosophy, and one of the most pressing questions of our time, What is the origin of evil? The nice thing about being human is that you never need to feel lonely. Human beings are engaged every second in all sorts of silent conversations — with the living and the dead, the near and the far.... We’re social animals. We emerge out of relationships. This reasoning leads to telepathy and the occult, and to the larger truth that everything is connected — not just people but animals, too; not just animals but plants, too; not just plants but non-living things, too. The basic ingredient of matter is sub-atomic particles, and quantum physics has demonstrated that particles are connected — connected in ways that are mysterious, telepathic, occult, connected in ways that Einstein called “spooky,” connected in ways that make scientists uncomfortable and make mystics jump for joy. Brooks says that young people want a project that’s difficult, challenging, hard. I was reminded of Nietzsche’s “three metamorphoses of the spirit.” The first stage, according to Nietzsche, is the camel, who wants the heaviest burden. “What is the heaviest thing, you heroes? so asks the weight-bearing spirit, that I may take it upon me and rejoice in my strength.” Nietzsche’s camel is similar to Brooks’ First Mountain. One of the architects of Islamic terrorism, Sayyid Qutb, said that true Muslims could look forward to lives of “poverty, difficulty, frustration, torment and sacrifice.” Qutb’s words resonate with young Arabs who want a challenging project, who want to be heroes, who want to carry what Nietzsche called the heaviest burden. Brooks says that after a person has climbed the First Mountain, he realizes that something is missing. Brooks says that Tolstoy is an example of a person who climbed the First Mountain, then turned against it, and went in a different direction. When Tolstoy was climbing the First Mountain, he strove for perfection, strove to do things he could be proud of. The Second Mountain, on the other hand, defeats the ego and attains humility. Tolstoy experienced this metamorphosis when he was about 45. When Brooks himself was about 45, he experienced a similar metamorphosis. Brooks decided that he had spent “too much time cultivating what he calls ‘the r�sum� virtues’ — racking up impressive accomplishments — and too little on ‘the eulogy virtues’, the character strengths for which we’d like to be remembered.” Brooks said that he wrote The Road to Character “to save my own soul,” to make sense of his own life. Brooks uses similar language, he speaks of going down into the valley, “pouring forth,” giving away. He says that Lincoln’s Second Inaugural exemplifies the surrender, grace, and humility of the Second Mountain. Brooks says that people who are imprisoned lose their career, lose their First Mountain, and have no choice but to climb the Second Mountain. As an example, Brooks mentions Viktor Frankl, who was imprisoned in Auschwitz and other camps, and later wrote Man’s Search for Meaning. Frankl describes a conversation with a bed-ridden woman, a woman near death. The woman found consolation in a tree outside her window. She said she spoke to the tree every day, and the tree replied, “I am here, I am here, I am life, I’m eternal life.” This woman gave up her ego, her First Mountain. The boundaries of her ego dissolved, and she connected with the outside world, with all life, with the universe. Here we have a link between Brooks’ earlier book and this book — the discovery of meaning through a feeling of connectedness. Thaler took an obvious point, that people don’t always behave rationally, and showed the ways we are systematically irrational. But Thaler et al. were only scratching the surface of our irrationality. Most behavioral economists study individual thinking. According to Jacobs, “many of our fiercest disputes occur because the people involved simply aren’t thinking: they’re reacting or emoting or virtue-signaling or ingroup-identifying.” Jacobs is a Christian and a conservative. He’s an English professor who focused on W. H. Auden and C. S. Lewis (both Christians). Jacobs formerly taught at Wheaton College in Illinois, and currently teaches at Baylor (both Christian colleges). But times are changing, and if the media was once liberal, it’s now split into two camps. The result, says Jacobs, is “agitated hostility.” The purpose of Jacobs’ new book is to calm these turbulent waters, to increase “mutual comprehension,” to demonstrate how our current polarization is the result of bad thinking. I read an essay by Gordon Wood on the craft of writing history. The essay was published in 1995 in the American Historical Review, which Wikipedia calls “the premier journal of American history in the world”; the American Historical Review (AHR) was founded in 1895. The founding generation of historians.... believed that sociology, with its penchant for generalizations and overriding schemes, was simply “the ghost of our ancient enemy, the philosophy of history.” Sociology was formulaic; it tortured the facts to fit hypotheses; and it drained all individuality, all particularity from life. I would argue that the goal of science, and of human thought in general, is to find patterns in facts, to develop theories from facts. We shouldn’t ignore the philosophy of history; we should have equal respect for fact and theory. We should venture to make generalizations, but we should also be receptive to new facts. If historians have been wary of sociology and grand theories, they’ve been receptive to anthropology and “thick descriptions.” Contemporary historians have been influenced by ethnography/anthropology, by works such as Clifford Geertz’s detailed description of an Indonesian cockfight. Called at various times microhistory or ethnographic history, this kind of intimate history takes small events in the past involving inconspicuous people and a limited number of sources and teases out of them stories and meanings that presumably throw light on the larger society. The new emphasis on diversity and the new racial, ethnic, and gender consciousness have diluted and blurred a unified sense of American identity and have led to less and less emphasis on the nation as a whole in historical research and writing. This was written in 1995. In recent years, Wood has become more alarmed about the effect of political correctness on history departments. 3. Atlantic article. 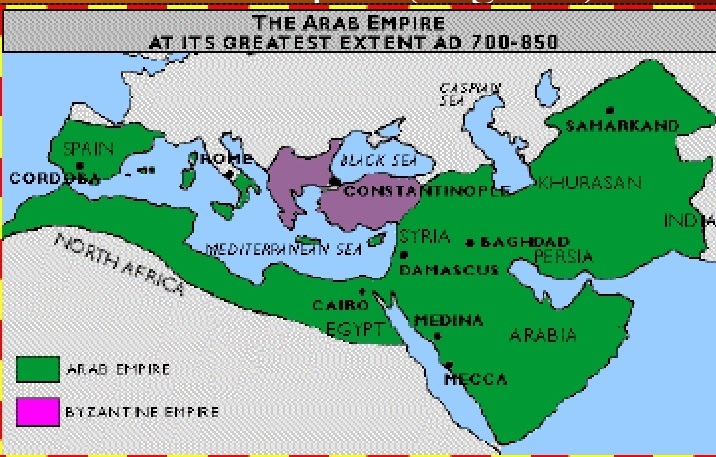 Putnam apparently ignores the Arab influence on southern Italy; the Arabs controlled southern Italy before the Normans. 9. Demos won the Bancroft Prize for Entertaining Satan: Witchcraft and the Culture of Early New England. Another writer on witchcraft is Carlo Ginzburg, author of The Night Battles: Witchcraft and Agrarian Cults in the Sixteenth and Seventeenth Centuries. Ginzburg is a major figure (a macro figure?) in micro-history.